In May of 2018, we launched our Kigali Flagship Bakery. Originally called the Remera Bakery, this was one of the first that we opened, founded with the hope and belief that our model would work—and it did. Three years later, the women who work here grew the business. That's what we mean when we talk about bread power. The grit, hard work, failures, and success is important because this is what propels us forward. That's the story of the Kigali Flagship Bakery. Aime joins TWB Team to facilitate and lead training programs. Fifteen women graduate TWB’s Vocational Training Program (150+ hours). They celebrate an average of 28% increase in test scores from before training to after. 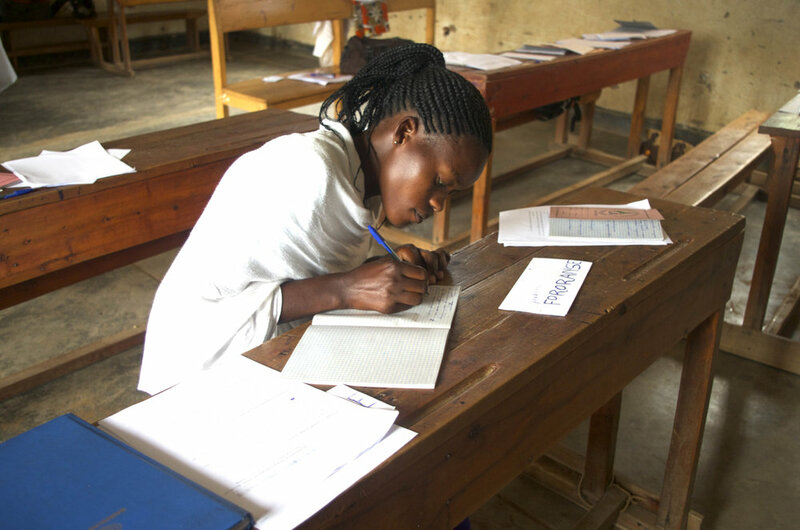 The graduates split into two groups to work at two locations: Remera (in Kigali) and Kanombe. 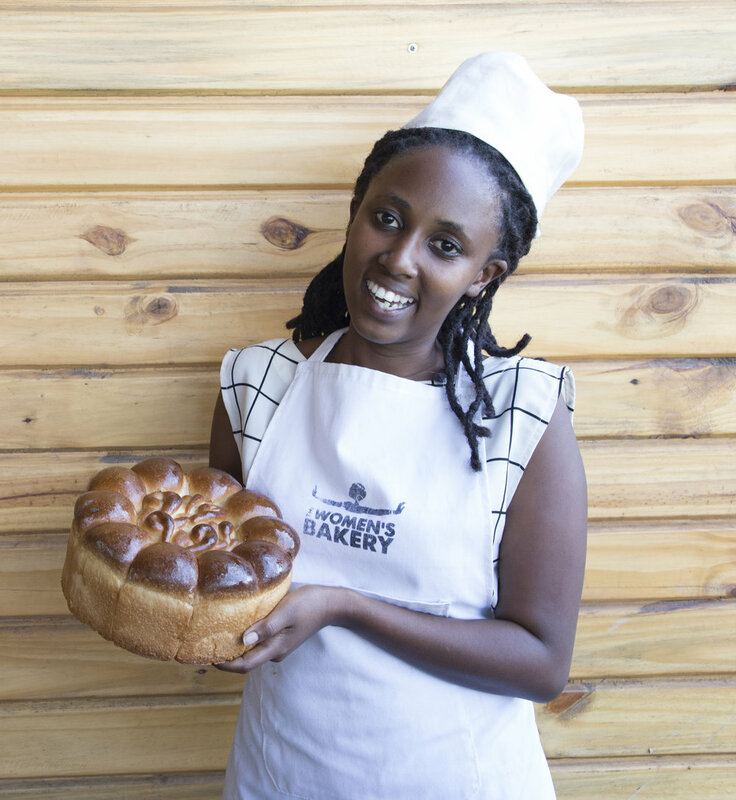 Yvonne hired in February to lead bakery operations in Remera. The two groups merge back together. A new bakery space secured and launched in June. Eight women are employed. We begin enrolling each woman and her family for national health insurance and social security. In August, bakers receive extensive technique training from professional baker. Bakery begins supplying bread products to Kigali supermarkets. Bakers from Kigali begin training women in other communities, a practice that has become integral to our work. We brought on Fran as our marketing intern to help secure new markets, promote products, and grow bakery presence in Kigali. Our bakers promote products at local Made in Rwanda fair. Thereafter, TWB becomes a regular features at local fairs and farmer’s markets, increasing exposure in Kigali. TWB rolls out nutrition extension programming and mental health counseling for Kigali women. Spearheaded by Global Health Corps Fellow, Rachel, these added health initiatives support the holistic well-being of women, and now operate across the bakeries. Women work with a mental health counselor monthly and are able to participate in additional nutrition lessons on lunch hours at the bakery. Led by DFO Meg and GHC Fellow Ruth, TWB begins home visits and focus group discussions to gather more qualitative data and feedback on impact among the women. Former trainee-turned-intern Fran is hired on full-time as TWBs Café Operations Manager and Marketing Coordinator. TWB featured in NY Times' “36 Hours in Kigali, Rwanda” as a must-visit location. Flagship location launches, which houses TWB offices, headquarters, training center, and bakery. The new bakery includes equipment with support from Corporate Sponsor, Rademaker. The TWB Rwanda team worked tirelessly from December 2017 to design, renovate, and create systems for the new Flagship Bakery Café. In February 2018, Kigali women moved from Nyabisindu location to new flagship location. A soft launch of new bakery in February helped the women adjust to new bakery workflows, products, and processes. Kigali women get their fourth salary raise in two years, now earning up to five times their pre-TWB incomes. The flagship bakery shows what we can achieve with a dedicated team, some sweat and tears, and the motivation of empowering and sustainably employing women.